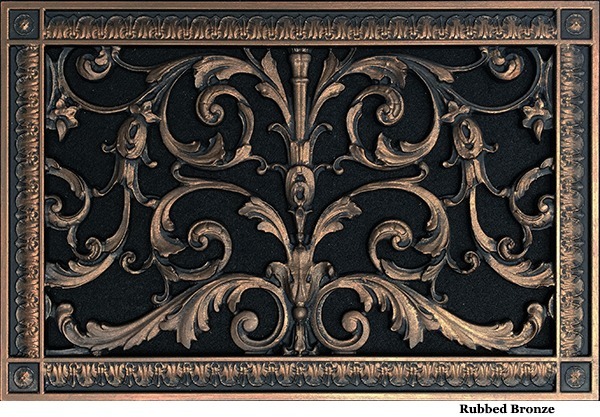 This Louis XIV style decorative grille can be used to cover a 10″ x 14″ heating and air conditioning duct as either a supply grille or a return air register. In addition it can be used as a speaker grille, foundation vent cover, return air filter grille or radiator cover. View, Print or download Spec Sheet for RR-203 10×16 here.